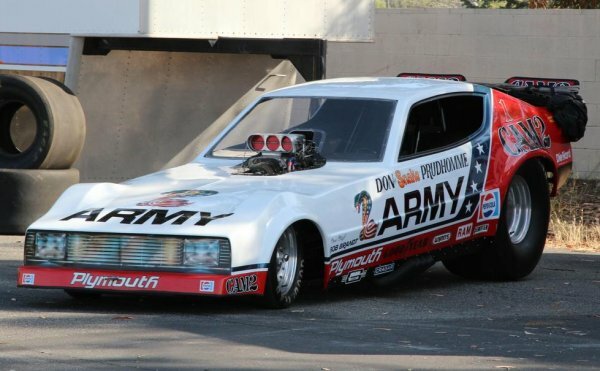 Last night, I had a chance to attend the Detroit premium of Snake and Mongoose with a crowd that included the likes of Chrysler’s SRT brand boss Ralph Gilles and while I don’t want to give away too much of the movie – I wanted to point out that this is way more than just a movie about two guys drag racing. The odds are good that if you aren’t into drag racing – or collecting vintage Hot Wheels toy cars – you don’t know who the Snake and Mongoose are but these two legends of the sport are better known as Don Prudhomme (the Snake) and Tom McEwen (the Mongoose). As you can imagine the core of this movie centers around the drag racing world beginning back in the infancy of the sport in the 1950s but this isn’t just a story about two guys who liked to race with and against each other – but it chronicles how drag racers went from being weekend warriors to being the high paid celebrities that they are today. While we might look at today’s professional racers from the ranks of the NASCAR, the NHRA and a variety of open wheel series as being super wealthy – the era in which Don Prudhomme and Tom McEwen began racing “professionally” was a time when it was pretty much impossible to make a living as a driver. However, as Don “the Snake” Prudhomme emerged as one of the greatest drag racers or all time, he was joined by his friend and rival Tom McEwen, who earned the nickname Mongoose due to this frequent home-town battles with Prudhomme. McEwen was more of an entrepreneur who loved to race so while the Snake was focusing on going fast and winning titles, the Mongoose was spending more time on figuring out how to get rich by racing. 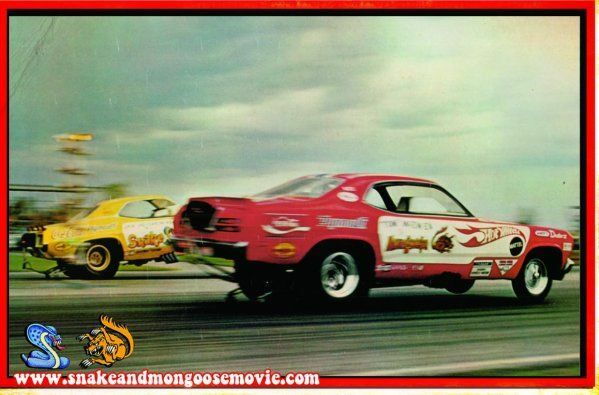 McEwen’s plan came in setting up match races between himself and Prudhomme with the “Snake and Mongoose” show touring all over the west coast as drag racing fans fell in love with watching these two super fast racers go head to head, night after night. 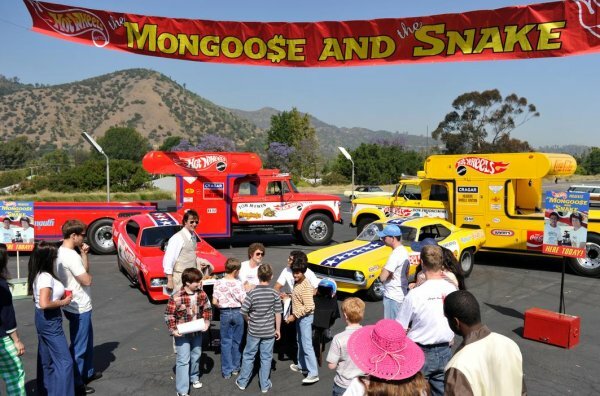 When Mattel introduced the Hot Wheels collection of die cast toy cars in the late 1960s, Mongoose had a plan to pitch the idea of a big money sponsorship to the Hot Wheels people while also introducing the familiar race cars in Mattel’s lineup of 64th scale toy cars. 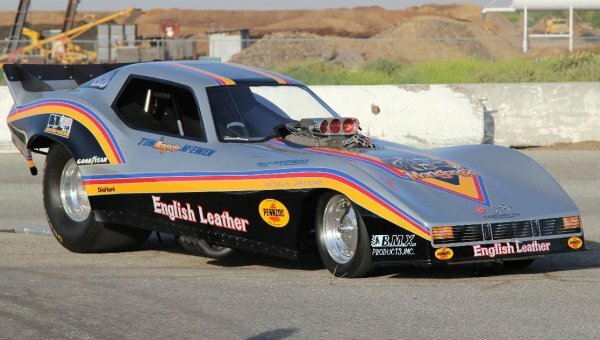 The result was a traveling grudge match drag racing show that traveled all over the country that demanded as much as $1,000 per stop in the brightly colored Hot Wheels sponsored race cars. Not only did this secure Snake and Mongoose as two of the pioneers of the modern age of drag racing but it also created two of the most iconic toy cars of all time with McEwen’s Plymouth Duster and Prudhomme’s Plymouth Barracuda. With Mattel selling SO MANY of these cars in the late 60s and early 70s, Prudhomme, McEwen and drag racing grew in popularity as there were now small scale versions of these cars in every household that had a young boy in America. Snake and Mongoose helped to make Hot Wheels more attractive to kids who were toy shopping but it also brought NHRA drag racing to the foreground as kids were growing up idolizing these legendary racers. 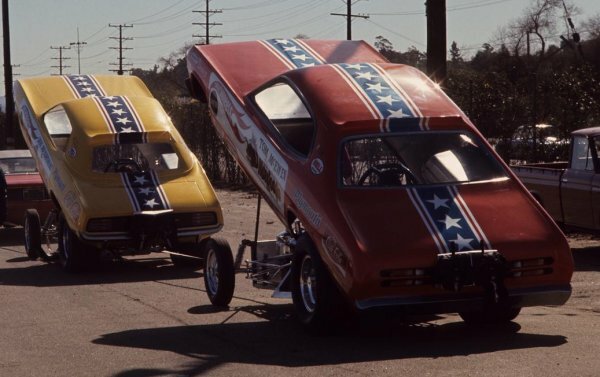 The problem with a plot like the Snake and Mongoose movie – which centers around the world of drag racing – is that women (girlfriends, wives, first dates) generally don’t want to sit through a two hour documentary of how drag racers got to be household names. Fortunately (for the producers), Tom McEwen’s life away from the track was filled with marital issues and the loss of a child that ultimately inspired him to go after the biggest win of his career – against his good friend and long time opponent Don Prudhomme. While I loved seeing all of the vintage drag racing footage from the 1950s on, McEwen’s story was enough to bring most of the women in the theater to tears – and probably a few of the men. This marriage of a real “car guy movie” with the events that shaped Tom McEwen’s life makes this a great movie for the whole family. Snake and Mongoose is playing in select theaters right now with a full scale release set for September 6th. For a quick look into this action packed drag racing flick, check out the trailer video below!